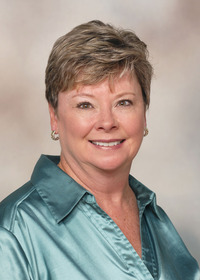 Dr. Louise Davis, Mississippi State University extension child and family development specialist, said graduation is a bittersweet time for parents. It symbolizes the cutting of some ties between parent and child. "Some parents can become emotionally dependent on their children," Davis said. "They become involved with their extracurricular activities, school and group of friends, then much of that ends when the child graduates." But graduation doesn't have to be a tough time. Davis said the secret is to prepare through the years for when the child will become an independent adult. Preparing the child involves slowly changing the parenting style to teach them to make good decisions, to accept responsibility and to get along with others. "In the later teenage years, parents begin to communicate with the child on a more adult level," she said. Sometimes graduation time is difficult because the young person is unprepared for life after high school. This, too, can be avoided with advance preparation. "During the high school years, students should seek the help of guidance counselors to explore career and college options," Davis said. Dealing with a child's graduation is often hard even for parents who seem the strongest. Parents feel a sense of loss when their child moves on in life and they need to know how to handle it. Stress management can help at the time, but advance preparation works best, Davis said. "Be sure you have your own identity, activities and interests so you can continue to have important adult relationships," she said. With a child gone, parents will have more free time, and Davis suggested they fill it with relationships, new activities and hobbies. "Before a child leaves home, parents should get into the routine of being without them," Davis said. "There will still have to be some rules or boundaries if the young person continues to remain at home, but they should be treated as an adult living under your roof rather than as a child." If there are younger siblings, parents may have difficulty explaining why the older child no longer has to follow certain rules. This can create a barrier, but can be worked through. "Graduation is a definite benchmark, and even though it is a transitional time, it can be a positive experience," Davis said.